According to Google, the Gboard language support for Android now supports more than 500 languages. Just after couple of years after launching, it has assisted the whole world to communicate on their mobile phones in their mother language. Moreover, the keyboard layouts are modified for each language and also include the autocorrect and analytical text features to help users transfer texts more naturally. The Gboard supports more than 40 writing systems—from Ol Chiki, which is only used in one Santali language to the script used in various languages such as Cyrillic, Devangari and Roman. Initially, when Google launched the Gboard language support in December 2016, it used to support 100 languages at that time. But, in just last few months, it has added more than 400 other languages which a big milestone. The company usually needs to find sufficient written text to train the AI which is simple for English or French. However, it’s tougher for less popular languages particularly those that are more verbal than written. 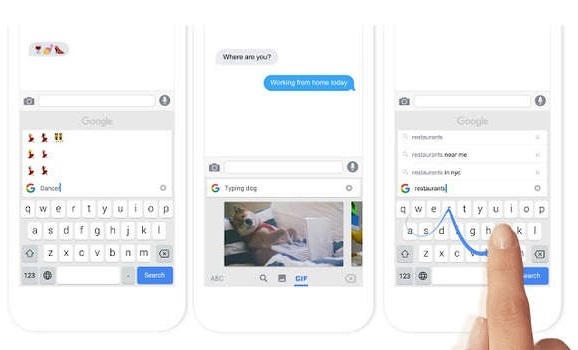 Gboard IOS language support keeps updating new languages in its iPhones that can be downloaded from the Apple store. Google normally shares writing prompts with native speakers to build a database of text to get sufficient data to add a new language. Since people can now easily type in these languages, they can connect with others in the language they would generally speak face-to-face. With its wide range of language varieties, the Gboard language support is now allowing more than 90 percent of world’s population to communicate in their first dialects. As soon as Google designs a keyboard layout and trains the AI, it requests the native speakers to test the language selection and deliver feedback. Many of newly included dialects are hardly found Online because they are usually not broadly written such as in books or newspaper. The coming of more languages to a well-known application like Gboard is always great. Moreover, the Gboard for iPhone supported languages is also working on adding less commonly speaking regional languages which are good to see.